Let’s just start by saying the Kia Sorento is the HIGHEST RANKED MIDSIZE SUV IN INITIAL QUALITY 2 years in a row. J.D. Power associates has awarded the 2018 Kia Sorento highest quality due to the lowest rate of reported problems among ALL midsize SUVs. The Sorento is also a 2018 IIHS Top Safety Pick when equipped with front crash prevention and LED headlights. It is essential that your family vehicle will keep everyone safe, so that you can have a little peace of mind and confidence in your daily drive. You will have the privilege of options like a standard 3rd row (7 passenger seating), 8-speed automatic transmission, lane keep assist, wireless charging, and Dynamax AWD. Pretty sweet right? Oh wait, it gets better. I had previously mentioned 7 passenger seating. You will have no problems fitting the whole family in the Sorento’s upgraded cabin. Don’t have that big family yet? You can fold down that standard 3rd row for the dog or load it up for a trip to the beach. With an upgraded cabin comes premium features like Nappa leather with a variety of color options, panoramic sunroof, and heated steering wheel. Does your current vehicle seem to attract all the messes and spilled food? 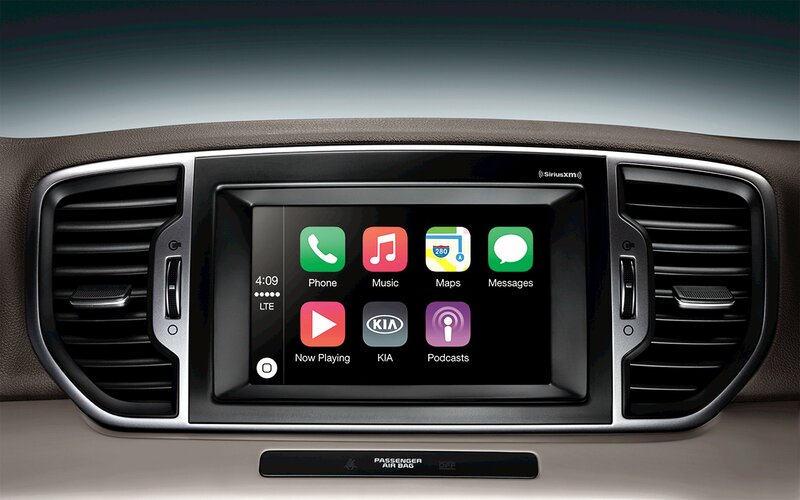 Kia is one step ahead of you. They have teamed up with YES Essentials to bring you durable, stain resistant seating that will allow you to breathe a little easier and enjoy those snacks.